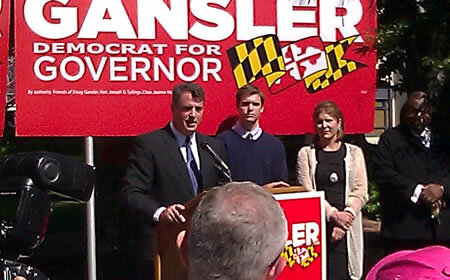 Gansler is running against Lt. Gov. Anthony Brown and Del. Heather Mizeur for the Democratic nomination.